This transfer opportunity is being given to fill one vacancy in the San Joaquin County Public Works Department - Fleet Services Division and to establish an eligible list which may be used to fill future vacancies. This position will provide administrative support to the Fleet Services Division business operations. The incumbent will be responsible for performing administrative analytical duties including budget preparation and oversight; periodic reporting; data gathering and analysis; marketing and customer service; human resources functions and the supervision of administrative staff. Other duties may include grant preparation, operating and maintaining fleet business systems and attending fleet-related events and conferences. This transfer opportunity does require candidates to be currently employed by San Joaquin County and meet all transfer eligibility requirements. Gathers information and data necessary for the study of policies, procedures, organization, operations, services, finances and other related matters; tabulates, charts data; and analyzes data gathered by statistical and other techniques. Performs general systems, procedures, workload, workflow and other studies. Reviews and analyzes departmental budgets; may monitor and administer department budget. PLEASE NOTE: This is a Countywide transfer opportunity.  Qualified applicants must currently be employed by San Joaquin County and meet the transfer eligibility requirements as stated in Civil Service Rule 11, Section 2 - Eligibility to Transfer for Interdepartmental Transfer. Experience: Two years of management, administrative, financial, budget, or personnel work requiring analysis and interpretation of data. Learn principles, practices, methods and techniques of public administration, management analysis, and statistics to the gathering, organizing and analysis of data; present data in charts, graphs and appropriate forms; express oneself clearly and concisely both orally and in writing; prepare comprehensive reports; establish and maintain effective working relationships with others. a. Meet the minimum qualifications of the class. An employee may, at any time, demote to any position throughout the County which has a lower salary range, provided the employee meets the minimum qualifications of the class, requests the demotion, and the action is approved by the Director and the Appointing Authority of the department to which the demotion is made. Demotions which are not voluntary must be completed in accordance with Rule 18 or with Section 5 of this Rule.